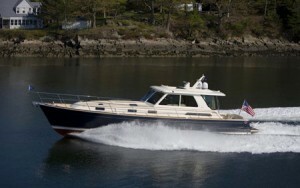 Recently, BYS installed gplink on a 2008, 52′ Sabre Yacht. The installation coincided with gplink installer training and was highlighted as a kick-off event to promote BYS as a gplinkreseller. This 52′ Sabre Yacht recently had gplink installed on board.